At Tierney’s we migrate businesses to Microsoft Office 365 with a proven migration process that ensures an easy transition to the cloud. 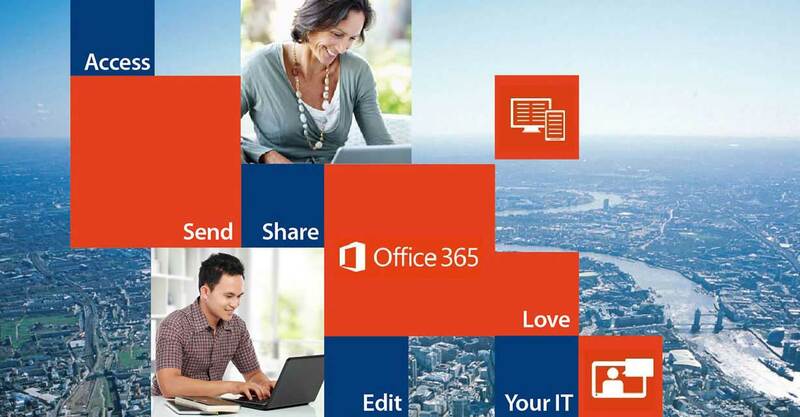 Office 365 offers you more than just email in the cloud or somewhere to store your documents. We believe that with Office 365 we can show you how to change how your users work. We can mix and match which options are most suited to your needs. Your go-to Office – anywhere. Whether you’re working in your office or on the go, you get a familiar, top-of-the-line set of productivity tools with Office 365. The Office applications are always the latest versions and will let you create, edit, and share from your Windows device, PC/Mac or your iOS, Android™ with anyone in real time. Tierney’s are proud to provide the latest Microsoft Office 365 solutions that enable businesses to take advantage of all that cloud computing has to offer. Capitalise on powerful solutions for email, collaboration, instant messaging and web conferencing. Office 365 comes with the applications you’re familiar with, like Word, PowerPoint, and Excel, plus extra online storage. OneDrive for Business and SharePoint are both integral parts of Office 365 and provides a secure place in the cloud where you can store, share, and sync your work files. You can update and share your files from any device, you can even work on Office documents with others at the same time. With pay-as-you-go pricing and a 99.9% uptime guarantee, you can finally bring predictability to both your IT and your budget.